Emiliano Sala is missing after he plane he was travelling in disappeared. THE plane that was carrying the missing English Premier League footballer Emiliano Sala has been found, his family has been told. A search boat located the wreckage on the seabed of the English Channel Monday morning. The Piper Malibu aircraft disappeared from radars close to the Channel Islands on January 22. 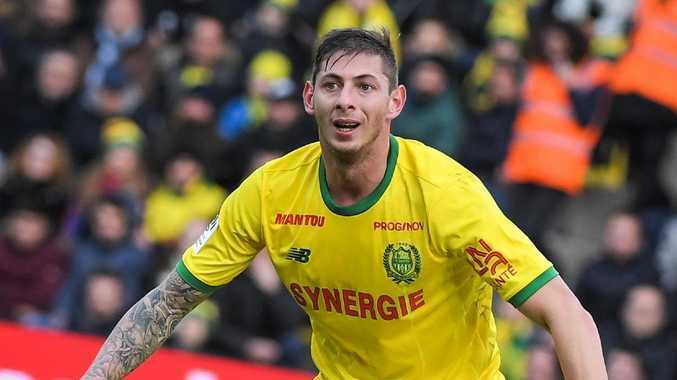 Sala had just completed a $27m transfer to Cardiff City from French club Nantes. On Monday morning AEDT, Mearns confirmed on Twitter the wreckage of the plane had been found. "Wreckage of the plane carrying Emiliano Sala and piloted by David Ibbotson was located early this morning by the FPV MORVEN," Mearns tweeted. "The AAIB will be making a statement tomorrow. Tonight our sole thoughts are with the families and friends of Emiliano and David." This story originally appeared on Sky News and has been reproduced with permission.